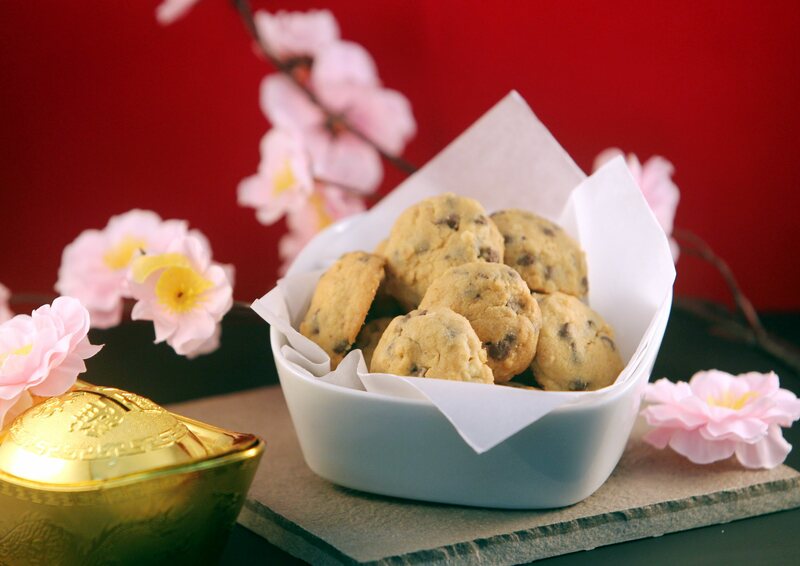 Having mastered her baking techniques in renowned French chef school Le Cordon Bleu, as well as founding the French-themed coffee shop Café Madeleine, Chef Alina Hew brings a refreshing French twist to these chocolate chip cookies. Beat butter, castor sugar and brown sugar well. Add vanilla extract. Add egg and beat till well combined. Add sifted flour. Then add toasted almond nibs and dark chocolate chips. Mix well till it forms a dough. Roll out the dough into small balls and arrange on tray.